Kondody Hotels & Resorts India Pvt. Ltd Kerala is hiring experienced hotel staff for their latest luxury hotel project at Pallivasal- Munnar. 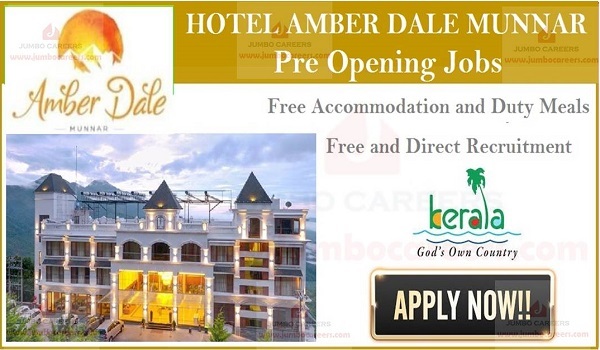 After the success of Green woods Thekkady, Kondody group is starting their luxurious hotel project Amber Dale Munnar from 2019. Its a free and direct recruitment by the company.